Use the disco truck as a DJ stage (loud or quiet), Prop or Pop-up Bar! Stages are expensive; they require high amounts of labour and they are often subject to numerous council requirements. 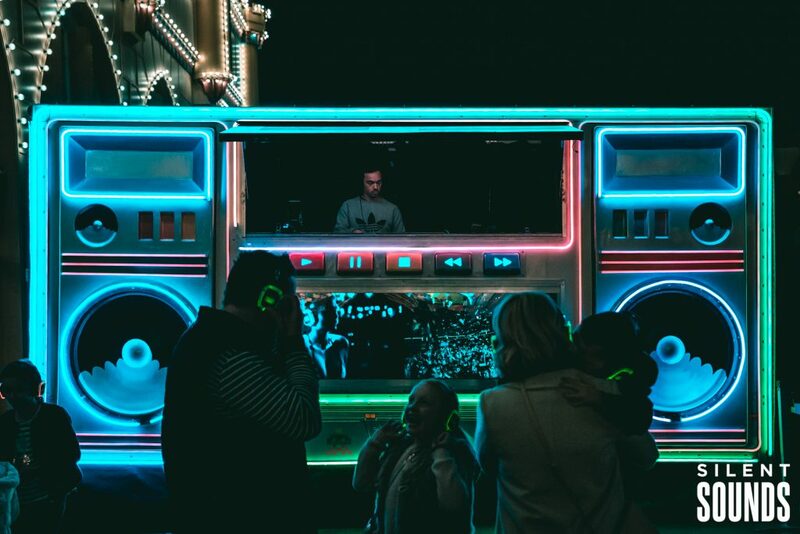 Our BoomBox Truck was carefully designed to solve all of these issues, while looking fun and flashy. Set up takes 20 minutes but we’re sure crowds will be mesmeried for days. DJs from all around the world have used this stage because of its versatility. 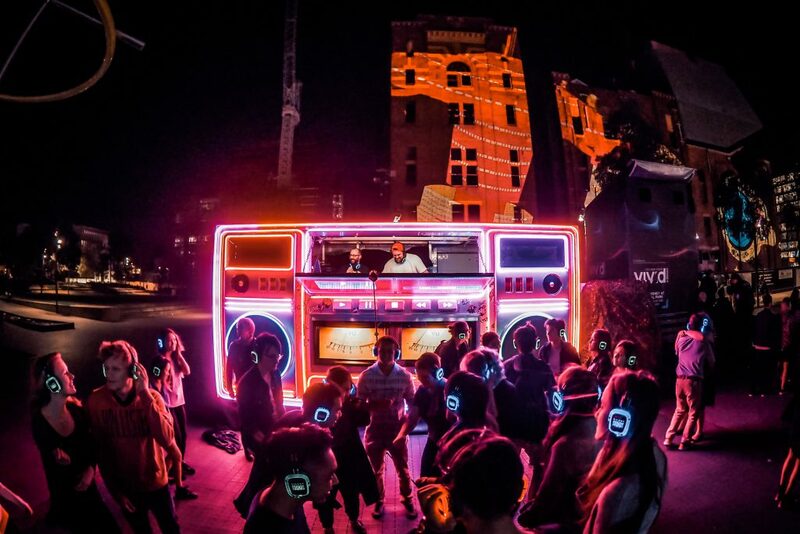 BoomBox works great for silent disco as well as for notoriously loud events. Add-ons include, but are not limited to: speakers, decks and microphones. The BoomBox truck has two large television screens which can reproduce any image or video, making it great for product activations and branding events. Park the truck anywhere and make your event unforgettable day or night. The truck suits events of all budgets so hit us up for a quote. Can plug into speakers or headphones that can cater for 3 channels of music.